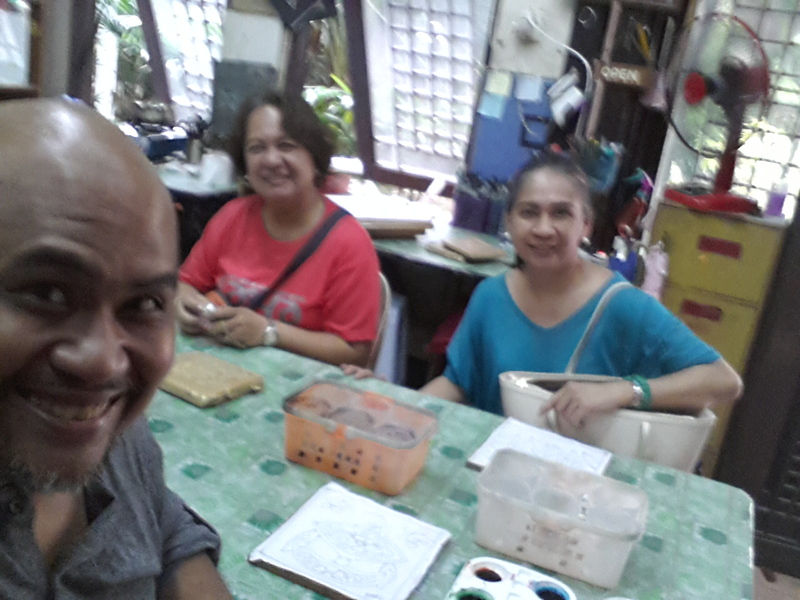 After spending the morning at the National Museum, we headed to the Craft Complex at Jl Conlay. The Grab car we booked from the museum (he had just dropped off a passenger) was quite unsure if he could bring us there easily due to the numerous road closures as there were anti-government protesrs (more on that on another post). The trip went easily enough as the roads we took were all open. After purchasing some North Bornean pearls at the main shop, we headed to one of the craft cottages. 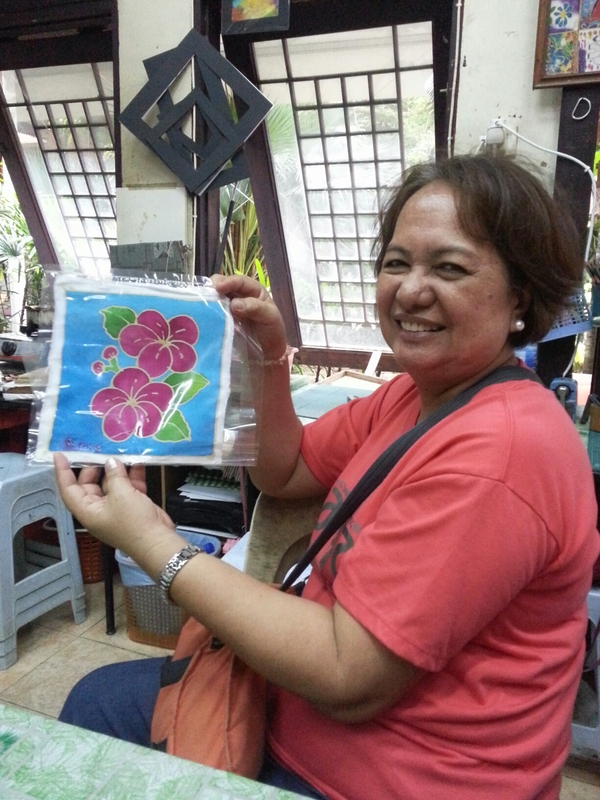 We paid RM 15 each for a small batik picture we would paint. 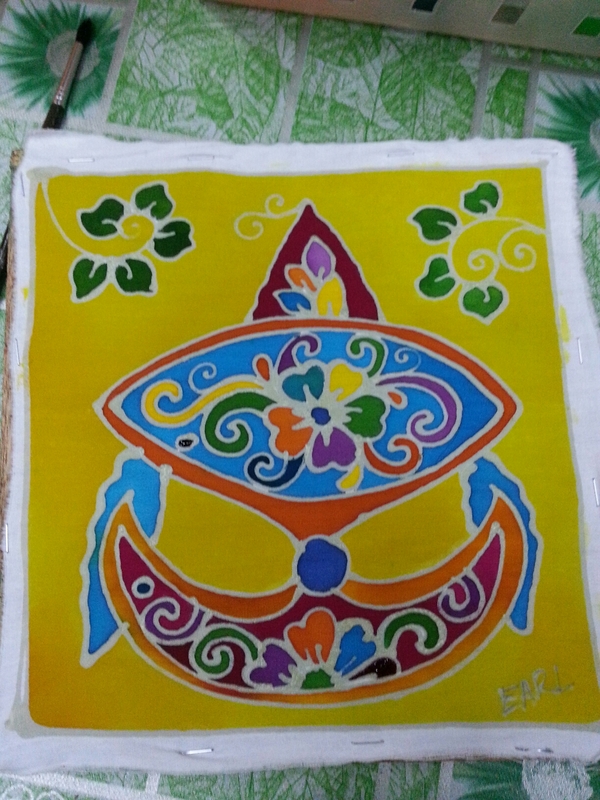 There were many designs but I chose the traditional Malaysian kite called “wau” because you know, Malaysia truly Asia. 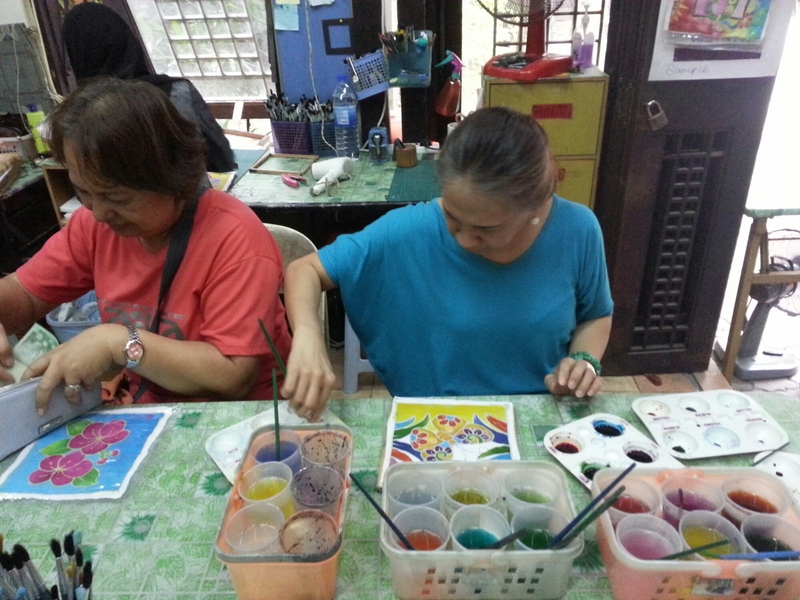 Rhoda and Tita Cel chose flowers. Perhaps being a late Saturday afternoon we had the whole place to ourselves. 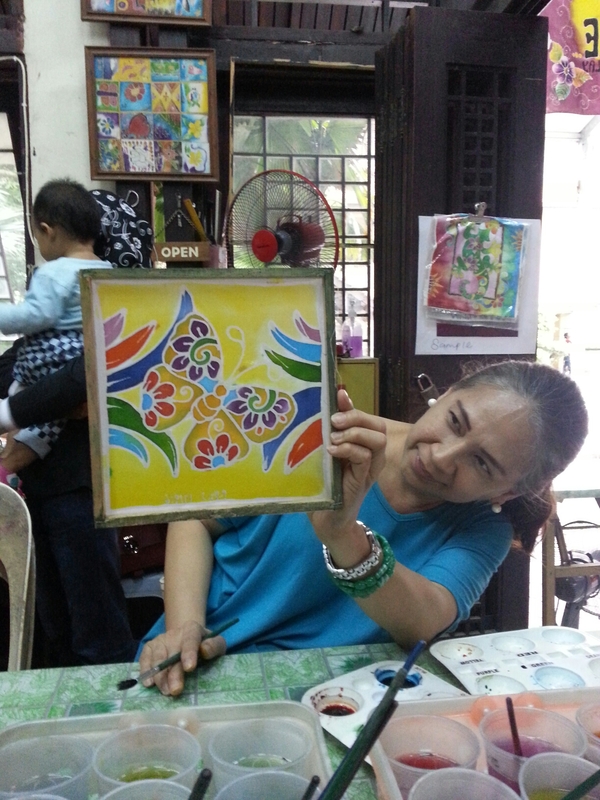 The batik lady set some glasses if water, paint, and a bunch of brushes and gave us a few pointers then we were on our own. 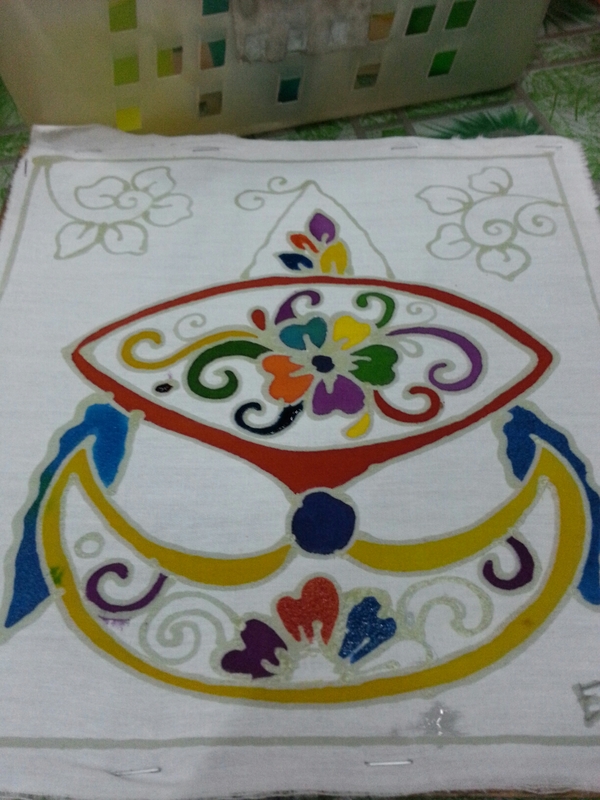 It didn’t take too long to finish painting because the picture was small and simple. 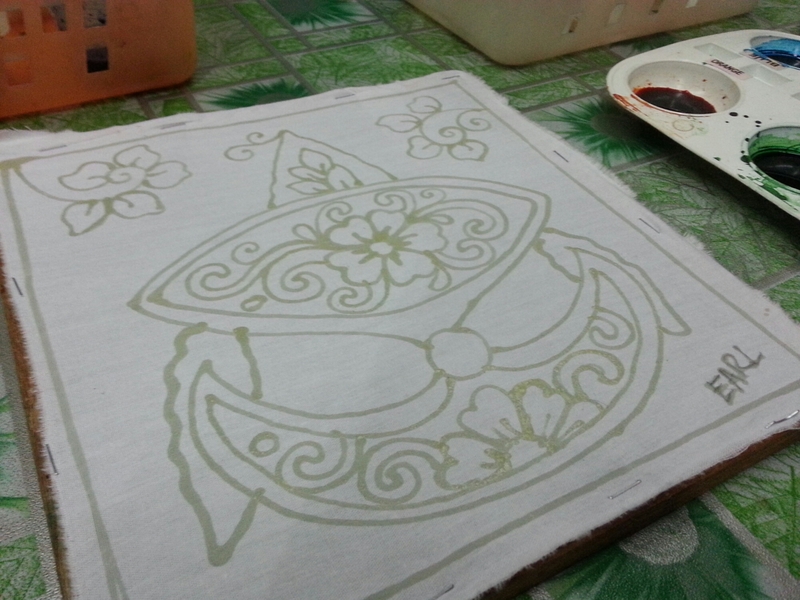 It was also easy to paint because we were painting on cotton rather than the silky cloth we were using at church. Here’s the finished “wau.” I just realized I should have used less yellow on the details. 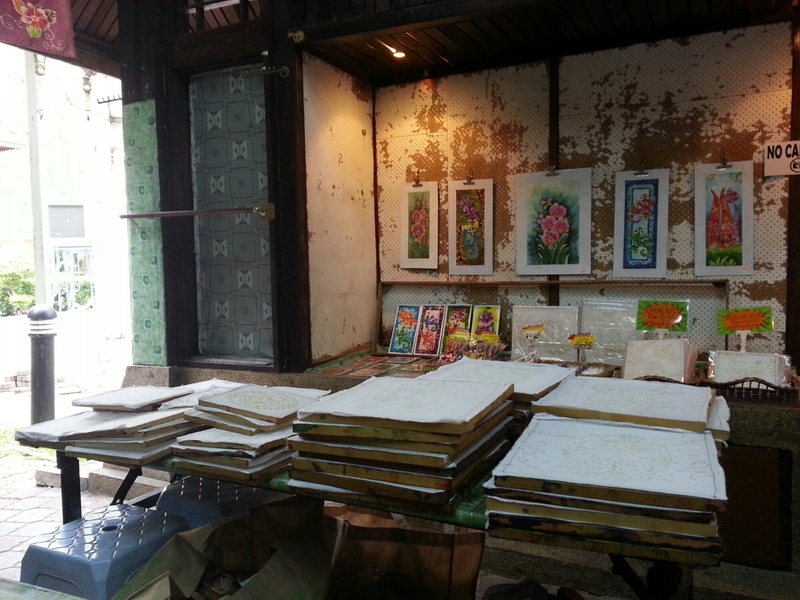 It was a nice way to spend the afternoon and a memorable one as you get to take home your very own Malaysian souvenir.